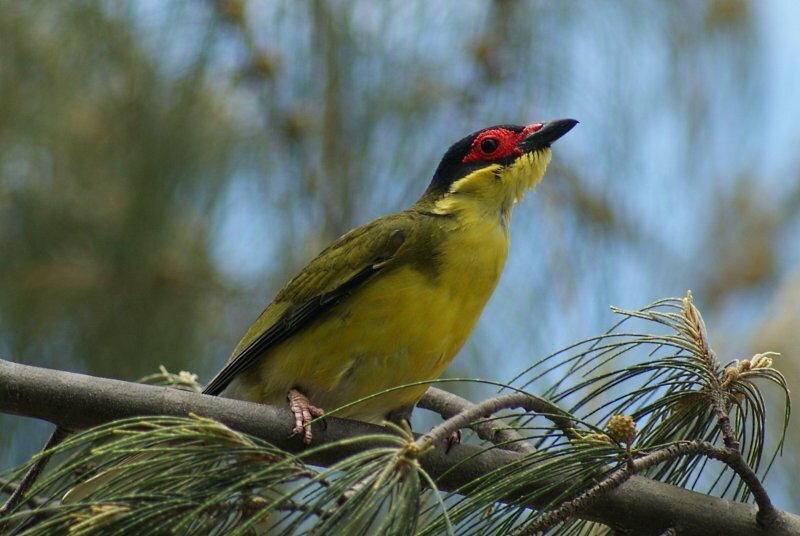 Australasian Figbirds are a member of the Old-world Oriole family. They have a loud and repetitive "piow, piow, piow" call, but can also sing well. 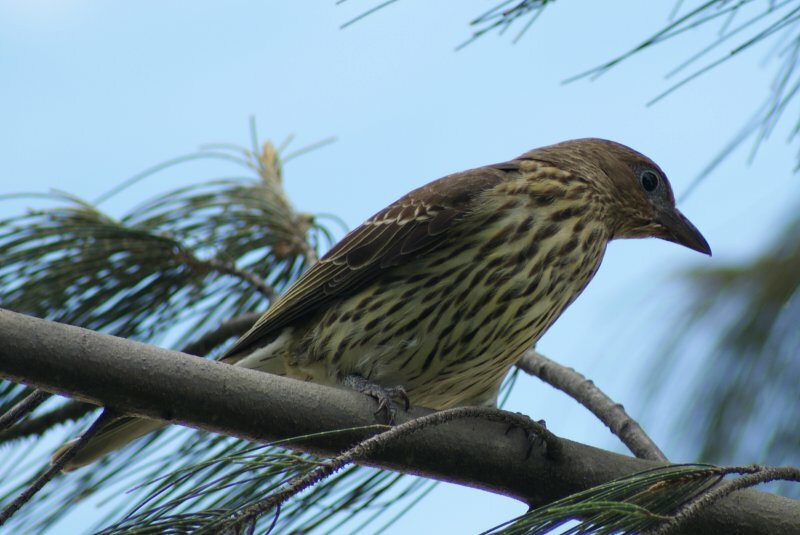 In the north and north-east of Australia, the subspecies that is common is flaviventris which is sometimes called the "Yellow Figbird" (photo 1). 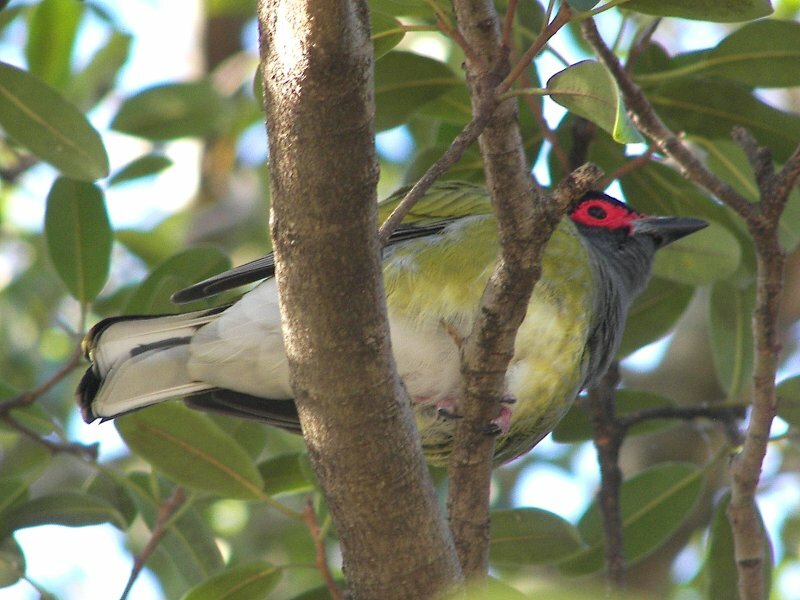 On the southern part of the east, the subspecies vieilloti occurs, sometimes known as the "Green Figbird" (photo 2). The female of both subspecies looks the same (photo 3). 27-30 cm. 1 and 3: Cairns Esplanade, Qld, 17/10/2010. 2 : Camperdown Campus, University of Sydney, NSW, 01/09/2009.